Events are the central mechanism to handle responses and they allow to create interactive applications. All classes that dispatch events inherit from EventDispatcher. The target of an event is a listener function and an optional data value. When an event is dispatched, the registered function is called. If the optional data value is given, it is used as a first parameter while calling the listener function. In Gideros, events can be divided into two categories: built-in events which are generated by the system (e.g. ENTER_FRAME event, touch events, timer events, etc.) and custom events which can be generated by the user. According to their event type, built-in events can be broadcasted to multiple targets (e.g. ENTER_FRAME event, touch events, etc.) or can be dispatched to a single target (e.g. timer event). The Gideros runtime dispatches the built-in Event.ENTER_FRAME event to Sprite instances before rendering the screen. Visual changes made by any Event.ENTER_FRAME listener function will be visible at next frame. Note: Event.ENTER_FRAME event is dispatched to all Sprite instances no matter these instances are on the scene tree or not. Gideros runtime dispatches mouse and touch events when the the user’s finger touches the screen. Mouse events are mainly used in single-touch whereas touch events are used in multi-touch applications. Key events are dispatched when user presses and releases a physical key on the keyboard. The mouse, touch and key events are dispatched to Sprite instances which are on the scene tree. If a Sprite instance is not on the scene tree, this instance doesn’t receive mouse, touch and key events. Note: Even if touch or mouse doesn’t hit the Sprite instance, the instance receive mouse/touch events. 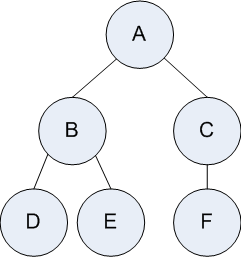 The order of dispatch is determined by the hierachy of the scene tree. The Sprite instance that is drawn last (top-most sprite) receives the event first. The next sprite at the bottom of the top-most sprite receives the event second and so on. In this hiearchy, the drawing order is A, B, C, D, E, F while mouse/touch event receive order is F, E, D, C, B, A. The Timer class is used for executing code at specified time intervals. Each Timer object dispatches Event.TIMER event at specified frequency. Create a new Timer object with specified frequency and specified total number of Event.TIMER events to be triggered. For example, the following code sets the frequency to 1000 miliseconds and sets the count to 5. Event.TIMER_COMPLETE event is triggered after finishing the specified number of timer events. Timer.pauseAllTimers()      -- pause all timers. if all timers are alredy paused, does nothing. Timer.resumeAllTimers()     -- resume all timers. if all timers are alredy running, does nothing. To dispatch a new custom, user defined event, create the event with Event.new() function and dispatch it with EventDispatcher:dispatchEvent(). b:dispatchEvent(Event.new("myevent"))       -- will print "funcA"
Dispatched to all Sprite instances before rendering the screen. Dispatched when target Sprite instance is added to the stage. Dispatched when target Sprite instance is removed from the stage. Dispatched to all Sprite instances on the scene tree when user presses the mouse button or starts the first touch. Dispatched to all Sprite instances on the scene tree when user moves the mouse or moves the first touch. Dispatched to all Sprite instances on the scene tree when user releases the mouse button or ends the first touch. Dispatched to all Sprite instances on the scene tree when one or more fingers touch down. Dispatched to all Sprite instances on the scene tree when one or more fingers move. Dispatched to all Sprite instances on the scene tree when one or more fingers are raised. Dispatched to all Sprite instances on the scene tree when a system event (such as a low-memory warning) cancels a touch event. Dispatched to all Sprite instances on the scene tree when user presses a physical key on the keyboard. Dispatched to all Sprite instances on the scene tree when user releases a physical key on the keyboard. Dispatched to all event listeners (broadcast event) right after the application is launched and all Lua codes are executed. Dispatched to all event listeners (broadcast event) when the application is about to exit. If an application is forced to be terminated (e.g. by double tapping the home button and kill the application), this event may not be dispatched. If you want to save your game state before exiting, save your state also on APPLICATION_SUSPEND event. Dispatched to all event listeners (broadcast event) when when the application is about to move from the active to inactive state. When an application is inactive, Event.ENTER_FRAME and Event.TIMER events are not dispatched until the application is resumed. Dispatched to all event listeners (broadcast event) when the application is moved from the inactive to active state. Dispatched to all event listeners (broadcast event) when the application is now in the background. Dispatched to all event listeners (broadcast event) when the application is about to enter the foreground. Dispatched whenever a Timer object reaches an interval specified according to the delay property. Dispatched whenever a Timer object has completed the number of requests specified according to the repeatCount property. a sound channel has finished playing. Dispatched when UrlLoader fails and terminates the download. Dispatched by UrlLoader as the notification of how far the download has progressed. Dispatched by b2.World when two fixtures begin to overlap. This is dispatched for sensors and non-sensors. This event can only occur inside the time step. Dispatched by b2.World when two fixtures cease to overlap. This is dispatched for sensors and non-sensors. This may be dispatched when a body is destroyed, so this event can occur outside the time step. Dispatched by b2.World after collision detection, but before collision resolution. Dispatched by b2.World after collision resolution.